You don't really know a bike until you've spent some time with it. A lot of time. 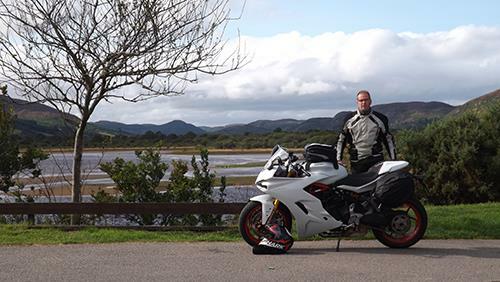 My first four or five months with Ducati's 'sportsbike for the road' had certainly been a blast. 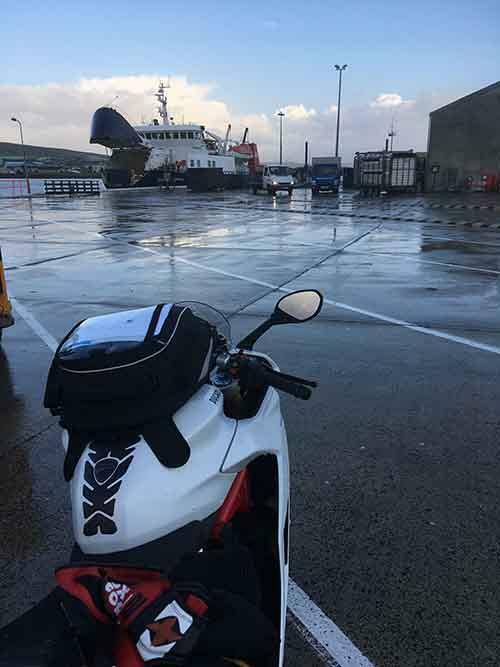 Work commutes and a track day had all passed without incident, but I knew a big trip to Scotland - the Orkney Islands to be precise - would test both rider and bike to the max. 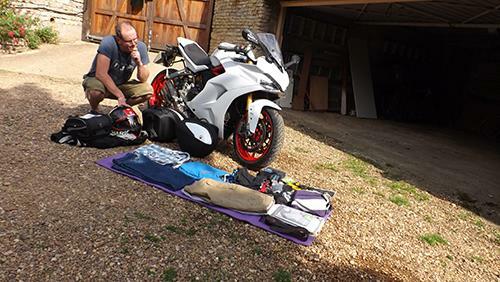 I had Ducati's official soft panniers (£960) and tankbag (£180) in place for the 1300-mile round trip and I also shelled out on the Comfort seat (£212). None of these items are cheap, but they ooze quality and obviously match the bike beautifully. You immediately get the feeling that all of these items will last ages if looked after. And during the trip, which saw about an hour-and-a-half of rain in total, they were very much up to the job. The panniers come with waterproof covers, which secure in place with a strap, but I did still notice some moisture on one side. The pannier that sits above the exhaust comes with a heat plate and that worked well. Neither pannier nor cover showed any signs of scorching! The tankbag also comes with a waterproof cover, but I didn't bother with it as a) I wanted to get to the stuff inside it easily at fuel stops and b) I had my camera and other electric items well wrapped up anyway. not that it mattered, as everything seemed to stay safe and dry. 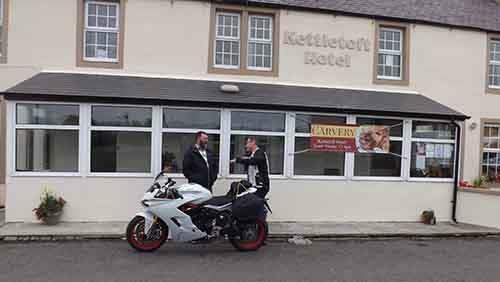 After an early start I was soon covering the miles and had crossed the border into Scotland by about 10am – I did leave at 5am! In a bid to squeeze as much petrol into the bike as possible, I did overfill it as the first stop and a pool of petrol under the bike did set a few alarm bells ringing. I needn't have bothered as the bike was easily returning 150 miles to the tank, which was plenty for my aching legs, which needed a break before then anyway. On the outward journey I had the screen in its lowest setting as I had previously found that windblast was directed to my head if I had it in the higher of the two positions. But I found that my shoulders were aching the morning after I arrived on the Island of Sanday in the Orkneys. So I moved the screen to the highest setting for the return leg and found that it took the pressure off my shoulders. There was plenty of room to move around on the seat – even with the seat cowl in place. Once on the A9 north of Inverness, the scenery and roads demand attention and the focus is taken away from aching joints and directed more on what's going on around me. 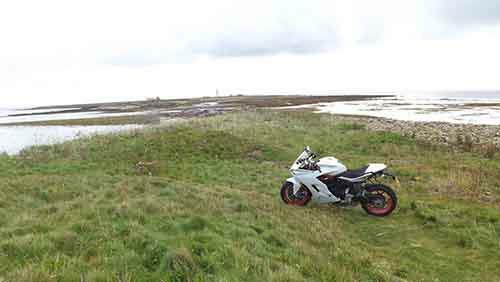 A restful few days on the stunning island of Sanday and a catch-up with an old school friend saw me ready for the ride back. 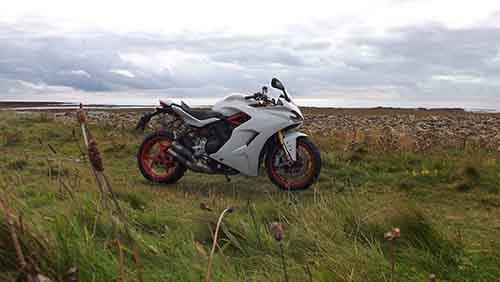 Once again the SuperSport took it all in its stride. It did get a little hot when stuck in traffic or tackling 30mph average speed sections, when roadworks spoilt the fun and games, but there was very little else to get hot and bothered about. My legs did start to cramp up a bit towards the end of each 600-mile stint, but no more than on any other bike I suspect. 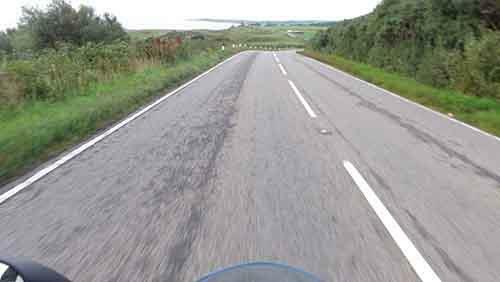 And when the roads did get interesting, the V-twin lapped it up. I also get many people approaching me at petrol stations and overnight stops complementing me on the bike, which goes to show what a looker it is. 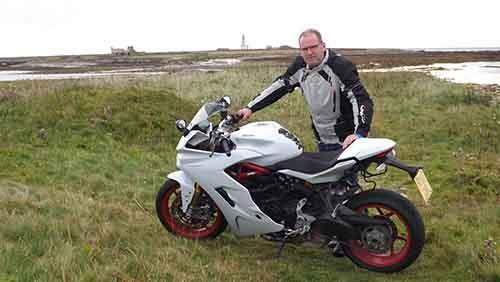 If I had to do the trip again tomorrow, I'd choose the Supersport S... again!